My last column was a broad overview of content marketing, which involves the creation and sharing of information to increase brand awareness and sales. Video content marketing is for entrepreneurs who are ready to take it up a notch and use one of the best mediums available to connect with an audience. The Content Marketing Institute’s 2013 Benchmarks, Budgets, and Trends report shows the majority of North American small businesses and big brands are focusing on video as a critical content marketing element. Enterprise marketers use it more than any other approach, with 71 per cent of small businesses incorporating it into their strategies. Fuelling the fire of the online video content marketing revolution is the increasing use of mobile. A recent Invodo study discovered mobile consumers are three times more likely to view videos than laptop or desktop users. Simply put, videos are quicker and easier to digest than text-heavy content. Video also enables your brand’s content to stand out from the online clutter. The data backs this theory up: ROI Research reports users interact with content that incorporates video at twice the rate of other forms of content. What does this mean for your business? Video content marketing is all about creating a memorable visual representation of your brand. For it to be most effective, you need to learn how to use this storytelling medium effectively and incorporate it into your content strategy, much as you would with blogs or articles. While not all video needs to be heavily produced, it does need to be polished to a level at which it aligns with your brand and its messaging. At the most basic level, use online video to introduce audiences to your team, to share customer experiences and testimonials, and to showcase your company’s culture and values. Papa John’s and Samuel Adams are examples of big brands that have fully committed to telling their stories this way. Deliver regular company, product or service information with online video, and share it with your audience. Gone are the days where e-mail marketing campaigns are the be-all-and-end-all to disseminate information. Shake things up by sharing important messages. If you do e-mail marketing on a regular basis, try embedding a video update to offer something new to inboxes. Provide an insider perspective. Sharing behind-the-scenes footage offers a sense of inclusion in your community, rewarding those who have been early adopters of your products or services, or who can help share your brand’s message with a broader audience. TED Talks, is one example. It produced and shared a popular mini-doc called “Behind the TEDTalk,” which gave viewers an inside look at the physical, intellectual, and emotional energy that goes into the creation and delivery of a TED talk. Videos are known to be the best teaching tools by embracing the “show, don’t tell” philosophy. Use them to broadcast things such as industry news and how-to tutorials. Home improvement giant Lowe’s, for instance, has a great series of videos to walk do-it-yourself-ers through the steps of various processes. It also recently released a popular series of six-second Vine videos of more clever home improvement tips. 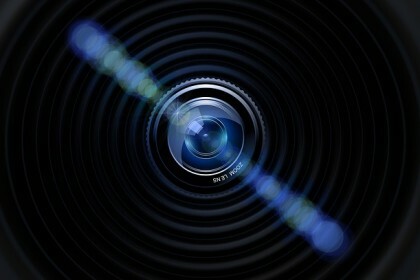 Online video allows your company to further enter the realm of “brand journalism” by capturing and sharing events. Your customers will feel like they’re part of the action, creating a stronger bond. Beyond press conferences, think of what content you can capture and share from industry seminars, workshops, and even meetings. You can use video to capture either your company’s involvement or reactions or feedback. One thing to keep in mind is how sharable on social media your video content can be. On the flip side, contests in which you ask your audience to submit videos can also be a great way to crowdsource and to get your community involved. German tech company Siemens launched a highly successful contest called “Changing your city for the better,” inviting people worldwide to submit a short video on how technology can improve life in urban areas. The result? The brand attracted hundreds of videos spanning 26 countries and six continents. A web series takes a traditional television show format and breaks it down into bite-sized video clips, known as webisodes. Most brands that commit to this approach are finding it an effective tool to engage an audience. Four years ago, for example, Ikea launched its heavily branded Easy To Assemble, which earned the brand millions of YouTube hits, not to mention winning numerous advertising and creative awards. It continues to invest in the approach today. Other examples include Denny’s Always Open series and, of course, Red Bull, which is the the most frequently cited example when it comes to brands “doing it right” with online video content. Whether you’re selling professional services, you run a restaurant, you’re in retail or real estate, the companies that are able to rock visual media most effectively will come out on top. Sharing what you do with the benefits of sight and sound builds an emotional connection with your audience in a way that’s impossible to establish with just text.